Swedish Designer Naim Josefi: Bugs, 3D, and... Plagiarism? Naim Josefi: Bugs, 3D, and… Plagiarism? It’s always a pleasure seeing the development Swedish designer Naim Josefi has made between seasons. One day before the show Naim wrote on his Instagram,“I’m proud to tell you it’s going to be my best work yet!” Needless to say, the anticipation was through the roof and right there on the spot, we weren’t disappointed. The collection was intriguing and had a great variety of styles, ranging from work to dinner to party to everyday wear to gala to something on the verge of avant-garde. One dress was made of a material that made it difficult to tell whether it was really a dress or some type of magical, liquid metal strolling down the runway. The collection consisted of coats, blazers, dresses, and knitwear with a tailor-made feeling. A selection of denim styles, a part of Naim Josefi’s denim line GANGS, and a few exclusive red carpet gowns in knitted steel, together with 3D printed bugs are also a part of the collection. The headpieces were a collaboration with Matthias Lavesson. 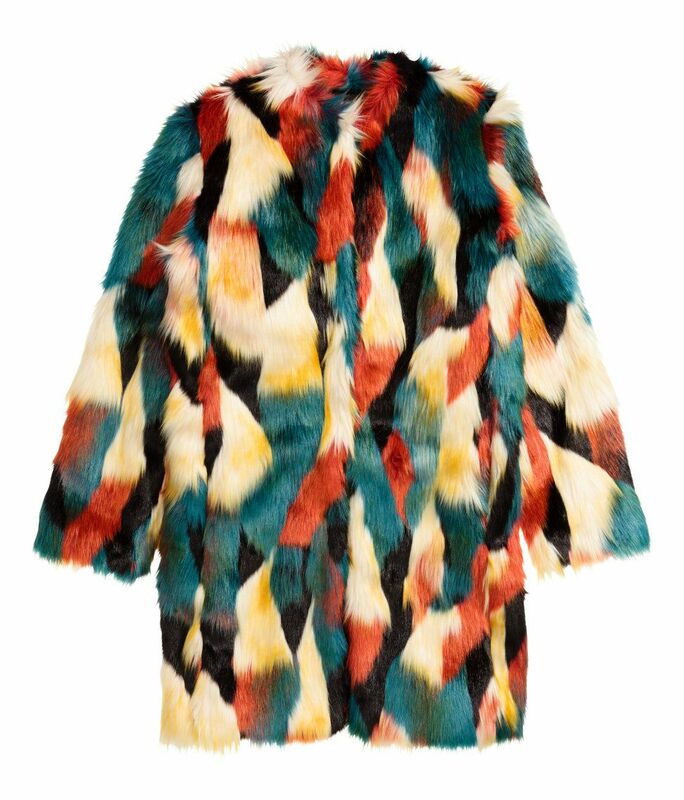 And I hate to say it, because I love Naim, but the multicolored fur coat (pictured below) was dauntingly similar to a, not even that old H&M faux fur. However, I’ll let you be the judge of that.